Low maintenance and main level living for this M/I ranch built in 2015 featuring 3BR’s, 2 full BA’s, & office/den! Open floorplan flows between kitchen, family room, sunroom, and dining area. Kitchen incudes huge island, upgraded cabinets, SS appliances, hardwood flooring, & pantry. Master bedroom suite features upgraded shower, walk-in-closet, dual sinks, and 3 ft bump in the bedroom! Premium lot overlooks neighborhood pond and wetland preservation area! 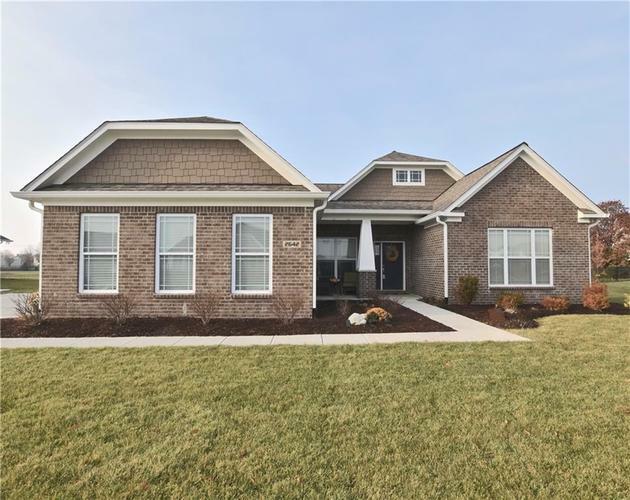 Location convenient to Village of West Clay, city parks, area hospitals, and I-465 access!